There’s at least one thing in common with every trip I’ve ever taken – they’ve all ended. Yes, it’s sad but true – vacations can’t last forever. If they last forever, they just become life. And when that’s your life, what do you take a vacation from?? I’ve had a great last day of vacation! Well, last full day. I never count the day I go to the airport because nothing much ever happens that day except for getting my stuff together and then heading to the airport. Although today felt like the coldest day of this trip, it was also the sunniest, so I was more than happy to spend the majority of my time wandering around. 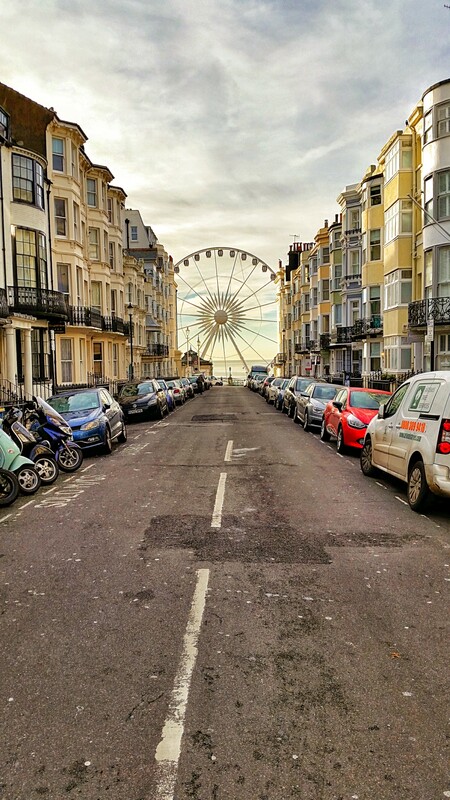 As I mentioned in my earlier post, I even had sunshine in Brighton this morning! After the dreary weather of the weekend, that was nice to wake up to. After an easy journey from Brighton back to London, I didn’t have much in the way of plans. I was thinking of visiting Chislehurst Caves because my friends Jason and Dan went there last week and really enjoyed it and it’s something I’ve never done before. However, it turns out that they’re closed on Mondays and Tuesdays and I couldn’t see wandering around in caves when there was London sun to walk around in anyway. So, wandering the city won out! However, I would still like to visit those caves sometime, so they’ve definitely been added to my to-see list. Good thing I like traveling to London so much! Even though I didn’t have much of a plan or pattern in what I decided to see/do on the London days of this trip, I think that’s great! Some people feel the need to plan their travel itineraries to the smallest detail and some people totally wing it. For a trip like this that was relatively short, punctuated in the middle by a secondary trip, and to a place I’m pretty familiar with, I didn’t want to plan much. You are the master of your own travel plans, so choose what works for you! Let’s jump right into pictures, shall we? Remember there are a few from Brighton first since I had a nice, sunny walk around before I left this morning. 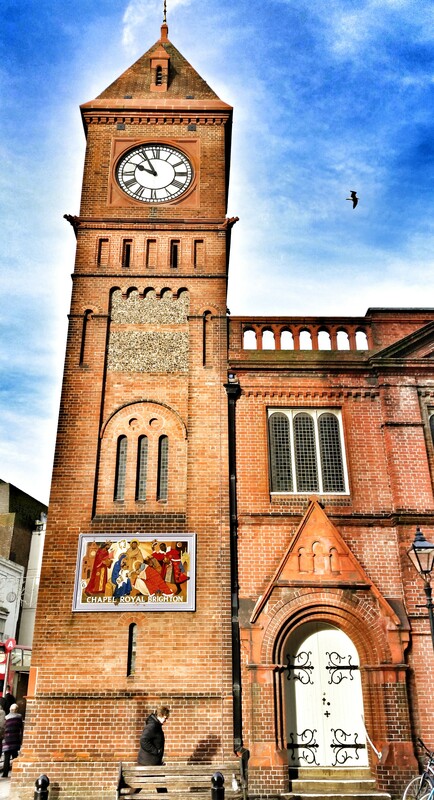 The Chapel Royal Brighton, located just down the street from my hotel, was first opened for worship in 1795. 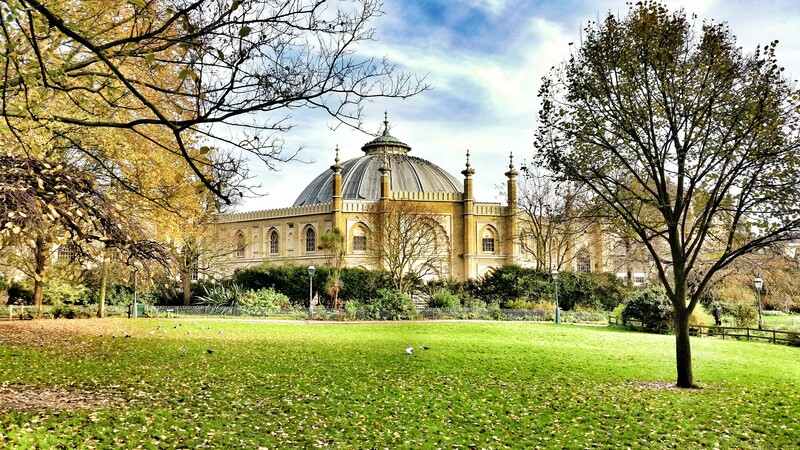 The dome of the Brighton Dome (check yesterday’s post for the main entrance). 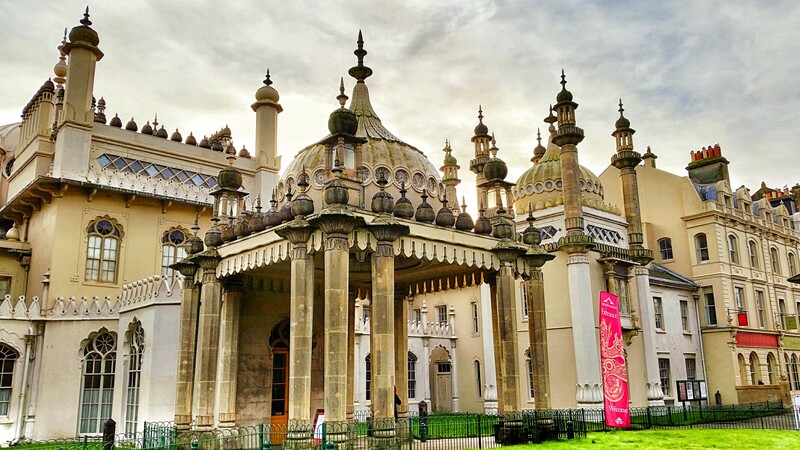 A sunny shot of the Royal Pavilion. It’s such a fun building to photograph! The idea for this picture was shamelessly stolen from Jason because he took essentially the same picture on Friday. 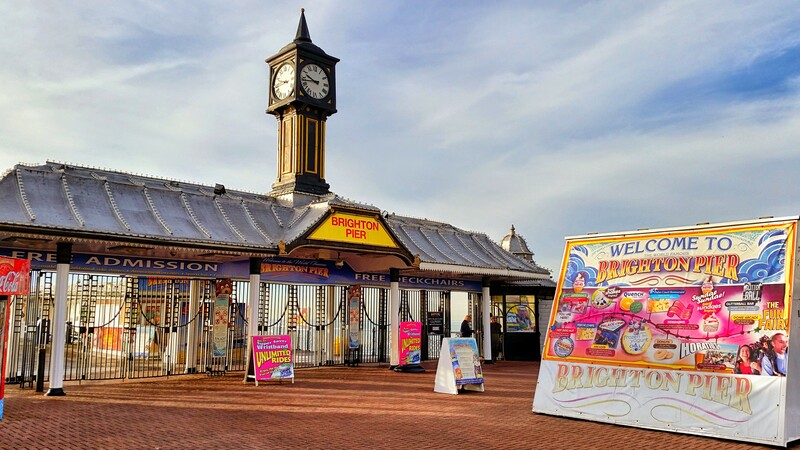 Brighton Pier looks so much more alive in the sunlight. I love the bright colors in this one! 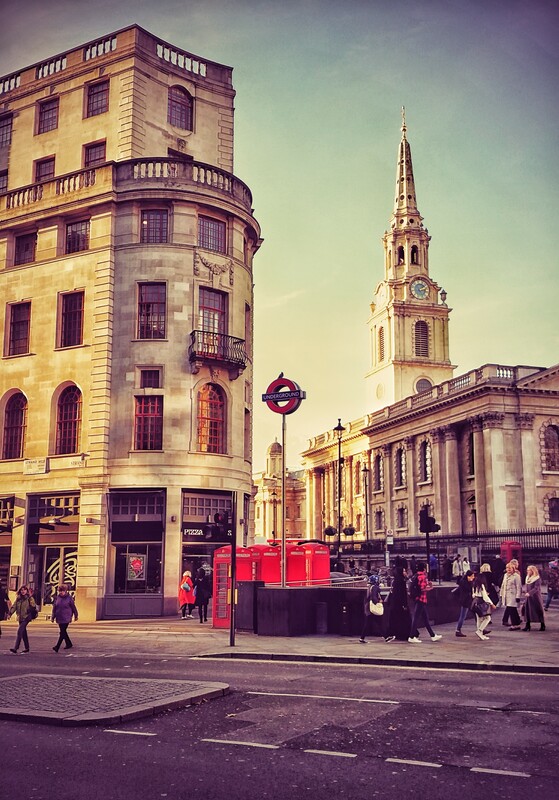 The view coming out of the main entrance of Charing Cross Station in London, with St. Martin-in-the-Fields on the right. 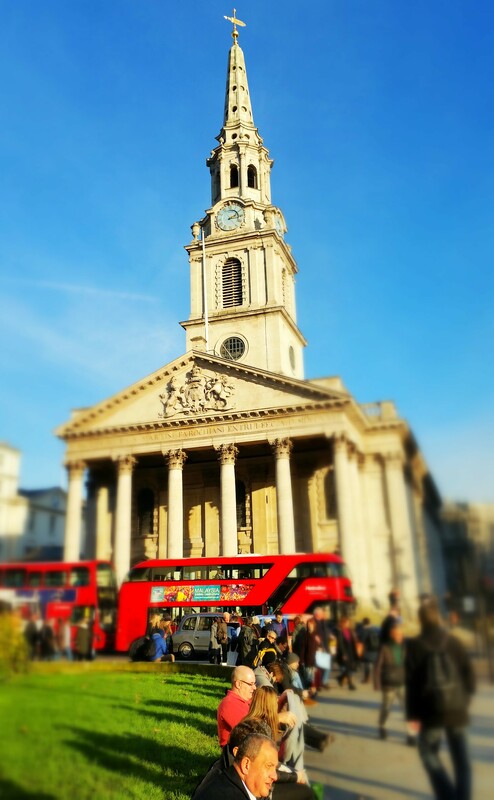 This is also St. Martin-in-the-Fields, but looking straight-on from Trafalgar Square. 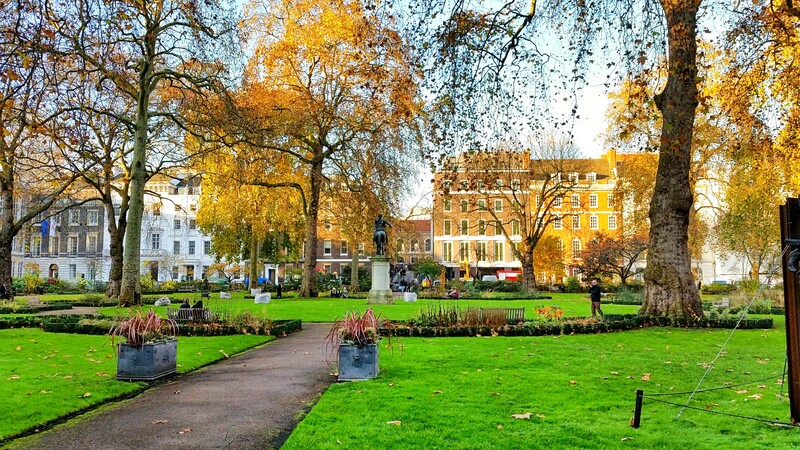 How could I resist the gorgeous colors of the gardens in St James Square? 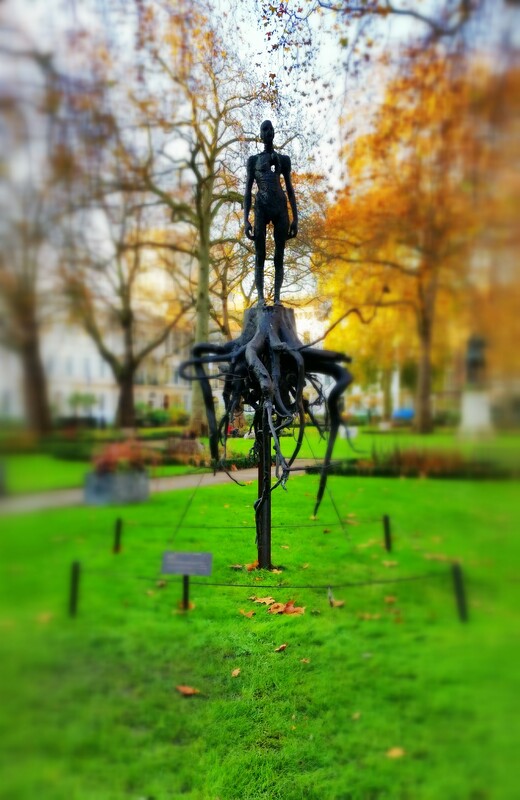 I loved this sculpture! Though apparently it’s actually two sculptures – Heimat and Burning Man. 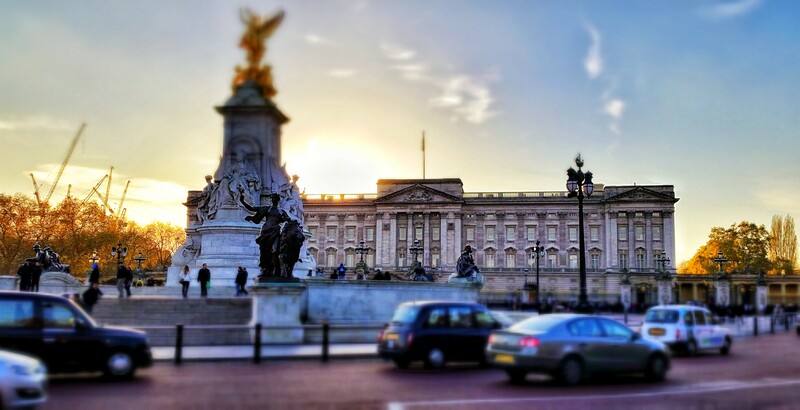 How cool does Buckingham Palace look with the sun behind it? 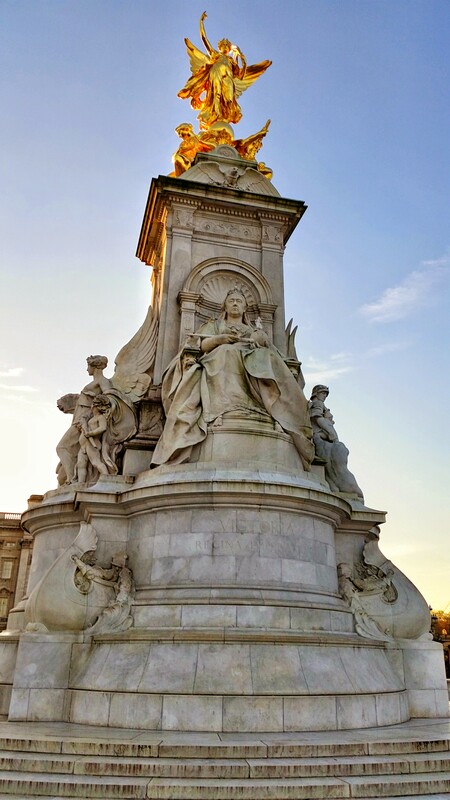 I’ve always found the Victoria Memorial in front of the palace to be a pretty imposing piece of art. 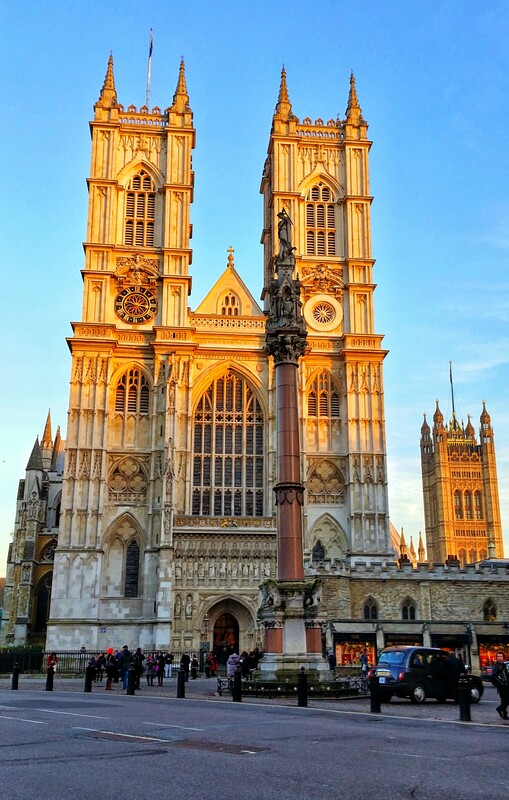 Another cool shot because of the sun, this time as it was setting on Westminster Abbey. 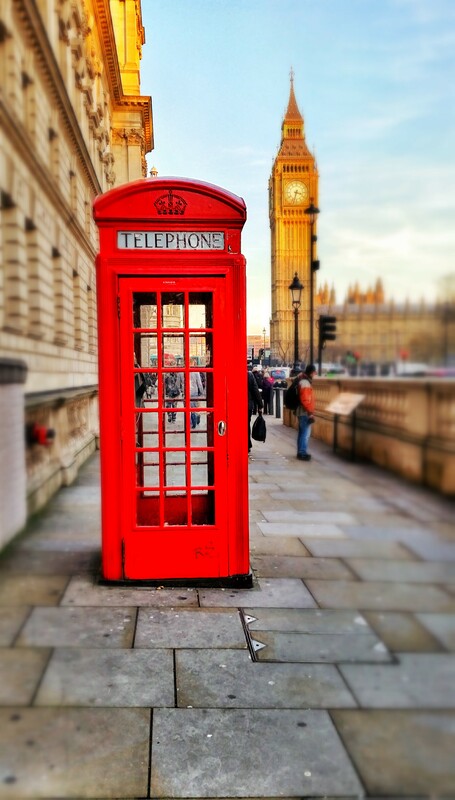 A red phone box and Big Ben – does it get any more London than that? I stayed in the city for a couple of hours before heading back to Lewisham. It was getting chilly (yes, I know I live in Minnesota and it’s far colder there right now, but it was still getting chilly!) and I also like my last night before going home from a trip to be kind of low-key. That gives me time to decompress, get my luggage/stuff together, and prepare to go back to reality. I had been in touch with Jason on the train (who never ended up finding his lost passport, but did get a new one from the US Embassy today – thankfully!) and decided he and I would do one last dinner with our friend Dan (who Jason is staying with). Since Dan lives so near where I’m staying, we went to a local pub, where I finally got to satisfy my bangers and mash craving. Woohoo! I’m so glad I got to see and spend time with so many great friends like them on this trip, especially since it was a relatively quick one. 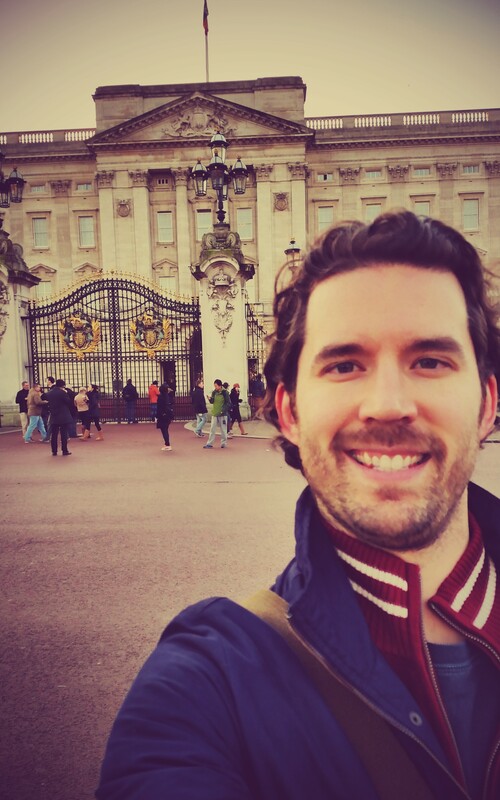 It’s been a great trip, but I’m excited to get home tomorrow…before I head to Chicago on Thursday. Cross your fingers for a great flight home for me tomorrow! Your photo compositions are terrific – you have quite the eye! I’m a fan of the “wing it” school of travel; but agree that everyone has their own style. So whatever works for the individual. 🙂 Have a safe (and event-free) flight home!